From the time you are born until the moment you pass, there is one muscle that does not stop working. That muscle is your heart muscle. This incredibly strong, resilient muscle never stop contracting. It pumps blood relentlessly unless we do something damaging to clog up the arterial system that delivers oxygen and nutrients to it. Unfortunately, when this begins we are blissfully unaware that the problem exists and that it is growing more dire by the day. Heart disease is nothing to fool around with. It is one of the most common causes of early death and shortened lifespans. Often the first indication that there is a problem is when someone experiences a heart attack that seems to come out of nowhere with the potential to kill or put them in the hospital. The reality is, the damage has been occurring for sometime. It is the result of a narrowing of the arteries due to plaque build up on the artery walls. Plaque itself is a combination of cholesterol deposits and the white blood cells that the body uses to attempt to clean out the cholesterol build up. Assuming diet is a contributing factor, cholesterol levels will need to be reduced in order to give the body a chance to repair the damage. Reducing the consumption of sugary foods is a great place to start. This includes all foods that fall into the category of simple carbohydrates, like breads, cakes, any pastries, pizza, pasta, potatoes and rice. Next concentrate on reducing your consumption of unhealthy fats. Canola, margarine and other vegetable oils included. Add to your diet the following foods which are high in unsaturated (healthy) fats that help lower bad cholesterol levels: olive oil, avocados, walnuts, oily fish, nuts and seeds all fit the bill. Quit smoking: That should be obvious. Smoking kills. It is one of the major risk factors for atherosclerosis (artery narrowing). It also raises your blood pressure. Begin exercising: Just like exercise strengthens other muscles of your body, working out helps your heart muscle become more efficient, stronger and better able to pump blood throughout your body. It improves your overall fitness levels and lowers your blood pressure. It is an important way to lower your risk of heart disease. Regular exercise helps your body’s tissue do a better job of pulling needed oxygen from your blood. This allows your heart to work better under stress and also helps you to avoid being winded during high-intensity activities. Not only will your heart benefit when you start exercising regularly, but you’ll sleep better, have more energy, enjoy heightened moods all while lowering your risk of osteoporosis and some types of cancer. 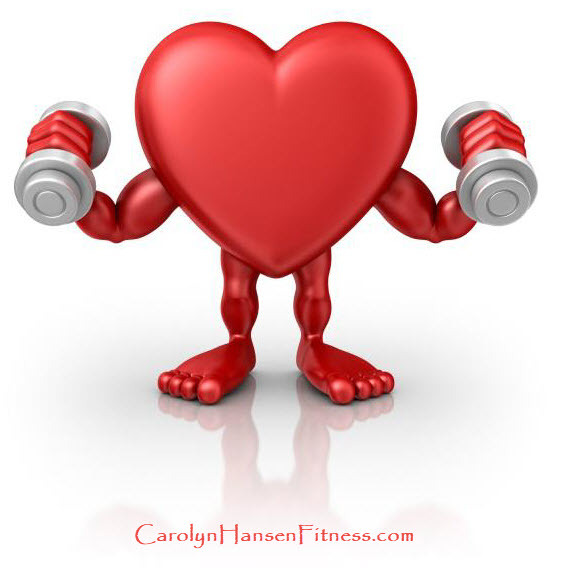 Exercising regularly is a win-win for all muscles (including your heart), your bones, your brain and your mood! Don’t wait for a heart attack to tell you your heart needs attention. Be proactive and give your heart what it needs now. Your body and your lifespan will thank you for it! If you truly want to stop the aging process and avoid a heart attack down the road, you need to exchange your sedentary lifestyle for one that promotes muscle strength. If you can only do one type of exercise variation, resistance training should be your number one choice. It is the one exercise that will make all your muscles stronger and boost your immune system.